Creating a collection of writings about Nelson Mandela is an intimidating task. Nelson Mandela is one of the most revered figures of our time but there is also a lot of controversy surrounding him. The Cambridge Companion to Nelson Mandela is impressive in it’s diversity and forthrightness in covering all aspects of the man, the movement he lead, and the way that he has been represented in the media. The essays in the Companion are written by experts in history, anthropology, jurisprudence, cinema, literature, and visual studies and the specific ideas of writers with expertise in specialized areas is nothing short of fascinating. The collection consists of 12 chapters split into 3 sections. The book is set up in a way that readers and students can utilize specific sections that touch on their area of study or interest or it can be read as a solid unit to get a well rounded idea of what made Nelson Mandela the man he is. 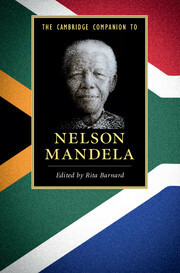 This would make a priceless addition to any high school or university library and an excellent gift for readers who want a full view of the remarkable man, Nelson Mandela.